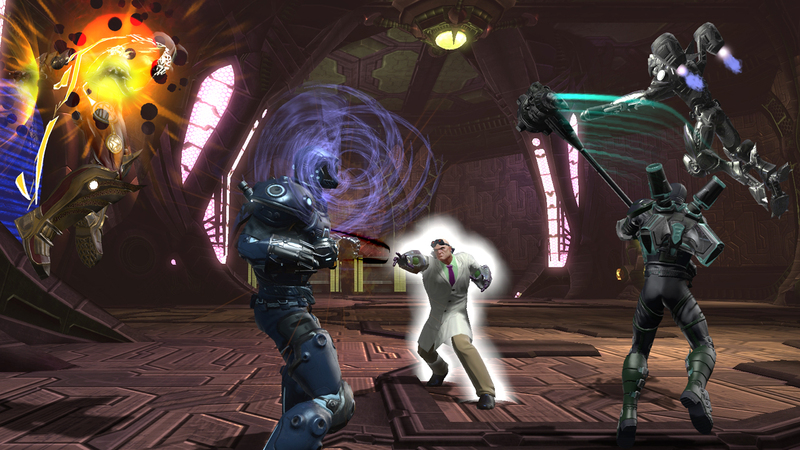 An upcoming DLC expansion for the superhero MMORPG will include time-controlling powers and a continuity-altering storyline. For all the talk of how superhero fans obsess over continuity, readers love a good alternate reality story. Some of DC's most widely read books are "what if" scenarios like Red Son or Kingdom Come, and even DC's New 52 universe spun-out of the timeline changes in Flashpoint. 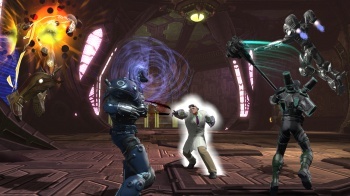 It's just fun to watch the ripple effect of a single change in a character's backstory, something that gamers can soon explore through a DC Universe Online expansion. 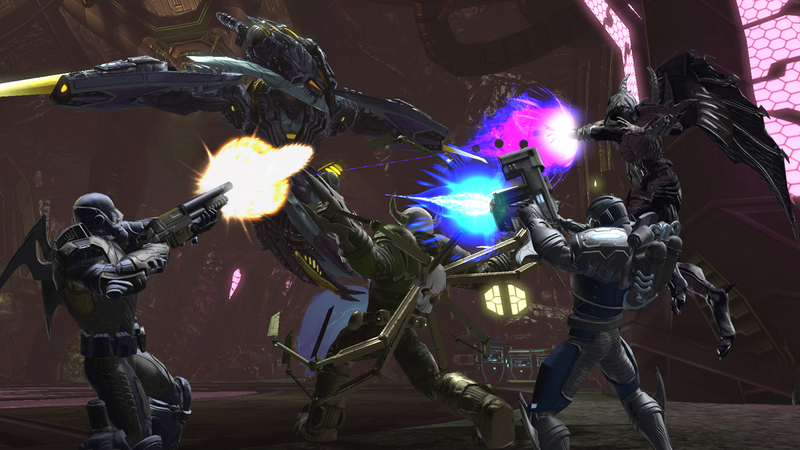 Coming in May, the Origin Crisis DLC pack sends players into missions that alter DC's entire timeline, allowing them to see the fallout of each hop through time. Origin Crisis's story is set in the wake of Brainiac's recent defeat, which creates a new future that threatens everything (again). This time, a conflict between versions of Batman and Lex Luthor has escalated to the point that changing the timeline is the only route to victory. 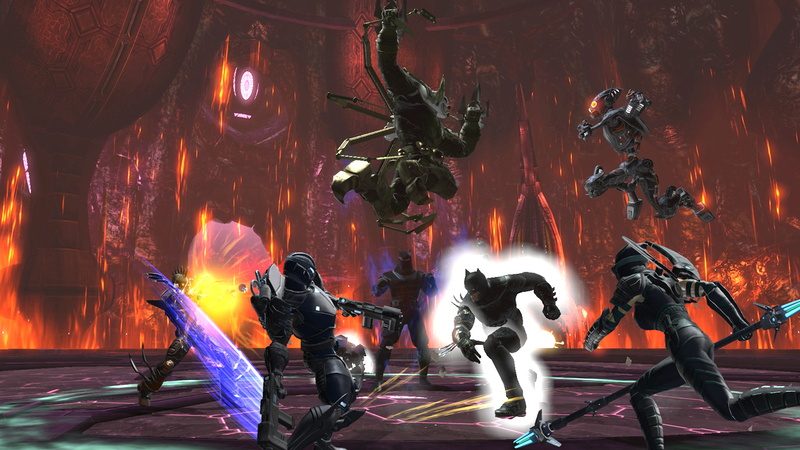 Player characters will be recruited for either side while taking part in adventures within altered DC realities. "What would happen to Metropolis if Superman worked for Lex Luthor?" creative director Jens Andersen asks. "What if Bruce Wayne became an evil assassin instead of a vigilante? These are the stories and realities that the players will experience and influence." Origin Crisis's content will encompass two Origin Operations for Heroic and Villainous campaigns. On top of that, endgame characters will have new raids to fight through while solo players can take part in additional simulation challenges. Keeping with the theme of altered reality, characters will have access to a Quantum Controller powerset, which lets players manipulate gravity, space, and time (somehow). 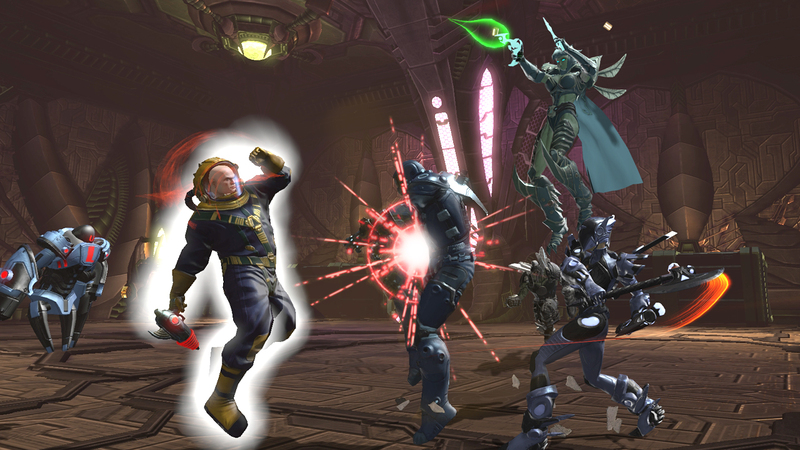 Sony has released a few screenshots from one of the new raids, and as you can see, alternate versions of Batman and Lex Luthor are prominently displayed. The pack will launch for both PC and PS3 platforms sometime in May, pending any unexpected changes to the actual timeline.